When Harvey Fierstein tackled the subject of men dressing as women in 2014 it was a far cry from the drag queens he had previously written about. To most, transvestite and transsexual are synonymous with drag and being gay, but in fact there can be great differences amongst them. 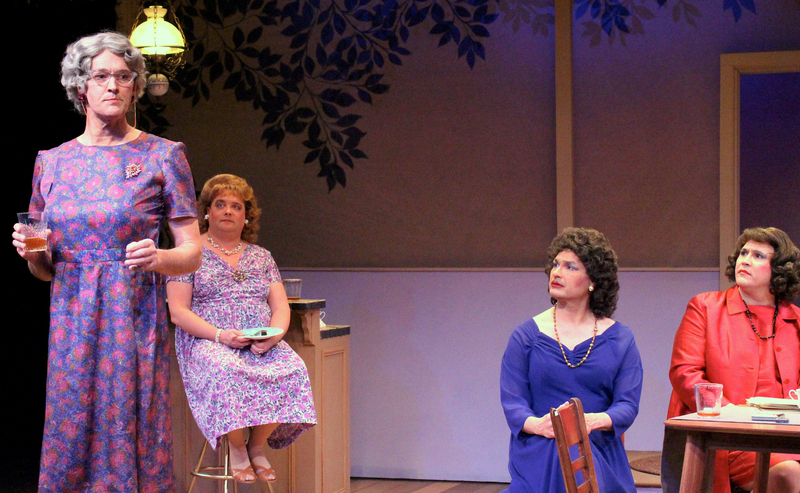 Fierstein clarifies the mystique and confusion in his Tony nominated play, Casa Valentina now playing at Town Hall Arts. 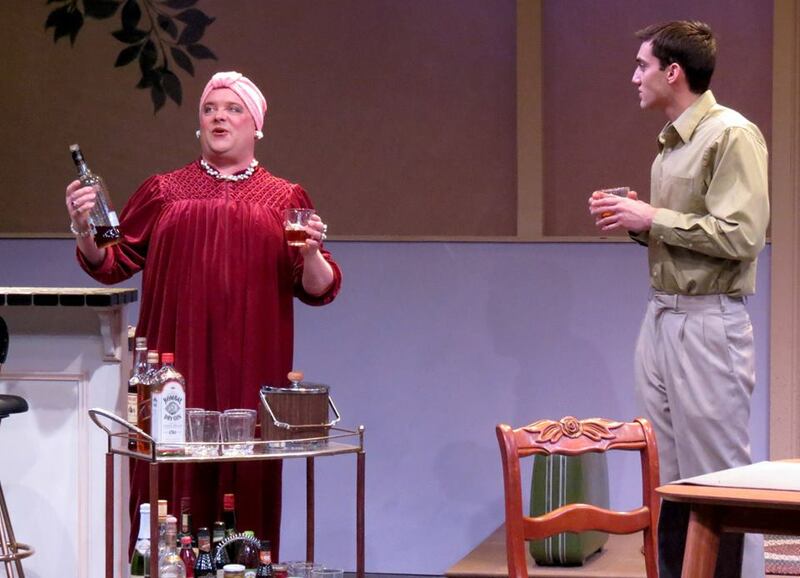 The men in Casa Valentina do like to dress up in women’s clothes, put on makeup and release their hidden female qualities, but these men are husbands with wives, fathers with children and bread winners with careers. In 1962 these men lived for weekend rendezvous in the Catskills of New York where they felt free to become the women that somehow liberated them from the worldly expectations of manhood. Fierstein has these men at a resort, owned by one of their own, George, who becomes Valentina with a switch of clothing and a swipe of lipstick. It is in this resort that this group of longtime friends discover they don’t know each other as well as they thought and that they may be at risk upon discovering each other’s secrets. Directed by Town Hall stalwart, Nick Sugar, this production seemed to be slightly faltering with some opening night jitters last Friday. Sugar keeps the action moving with a swift pace and scene changes accented by mystical music, but the production seems to be missing the tension leading up to the climatic reveal. Phil Luna as George/Valentina is tasked with carrying much of the show on his shoulders. Luna has great instincts but he is held back by others in the ensemble that just can’t seem to get to his level. Melissa McCarl as his wife, Rita falls into that group. McCarl is relaxed, calm, too calm, coming across as light, breezy and nonchalant, lacking the grounding needed to make her plight as the “other woman” believable. Bill Kahn as Albert/Bessie is a standout in the production and delivers a character that is fully believable and lovable as well. 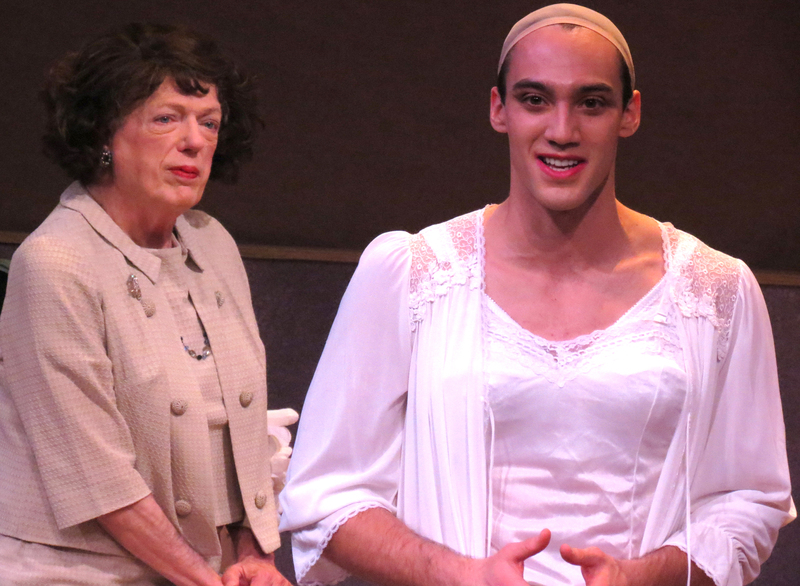 His flitting around the stage and off the cuff delivery of some of Fierstein’s funniest lines makes him anything but forgettable. 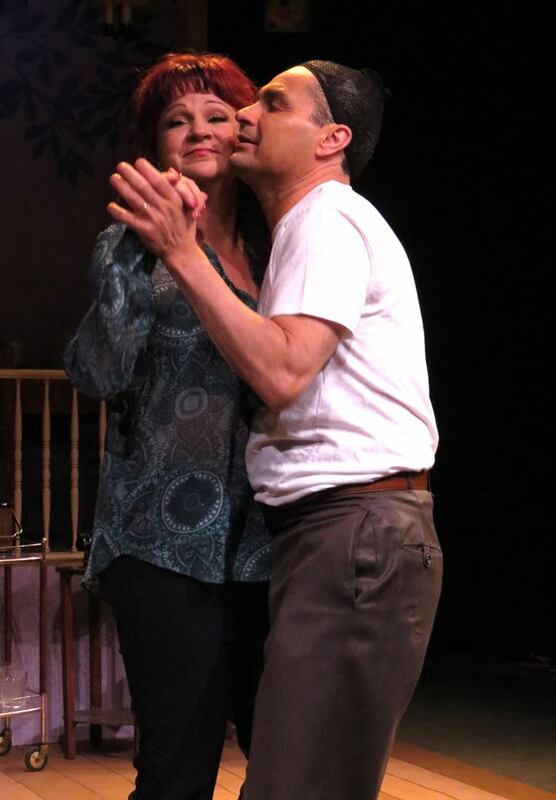 Tim Howard as Michael/Gloria dishes some great moments as well with his matter of fact, honest portrayal and Archie Archuleta is eager and appropriately timid as Jonathan/Miranda but doesn’t quite deliver the vulnerability to make Miranda’s plight achingly believable. Robert Wells is lovely as Theodore/Terry gently portraying aging charm with wisdom and grace. 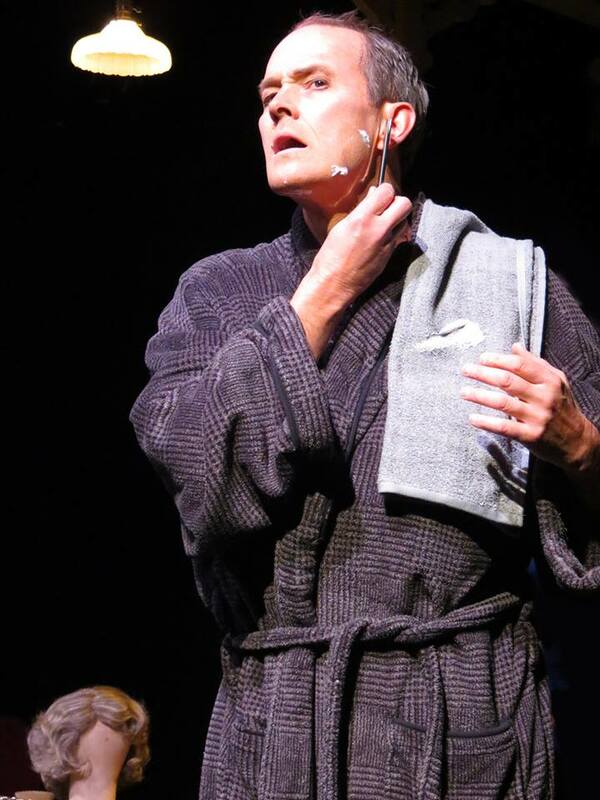 Mark Collins as The Judge/Amy and Sam Gilstrap as Isadore/Charlotte spar with a barrage of dialogue that has the potential to set the stage on fire, but only manages to get to lukewarm. 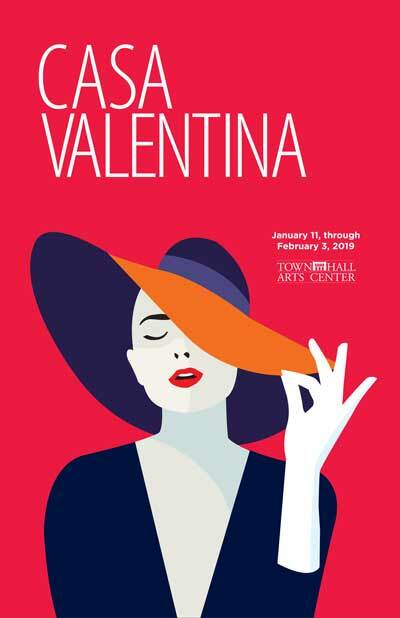 Town Hall Arts is taking a huge risk with producing Casa Valentina as stated by Sugar in a pre- curtain speech. The company is to be applauded for taking the challenge and I hope will not be detoured from embracing controversial subjects in future shows. It’s a stellar play with all the right ingredients but like a stew in the slow cooker, it needs time to meld together.